Girl is NOT a 4 Letter Word: Southbay Kids Skate Event This Sunday! 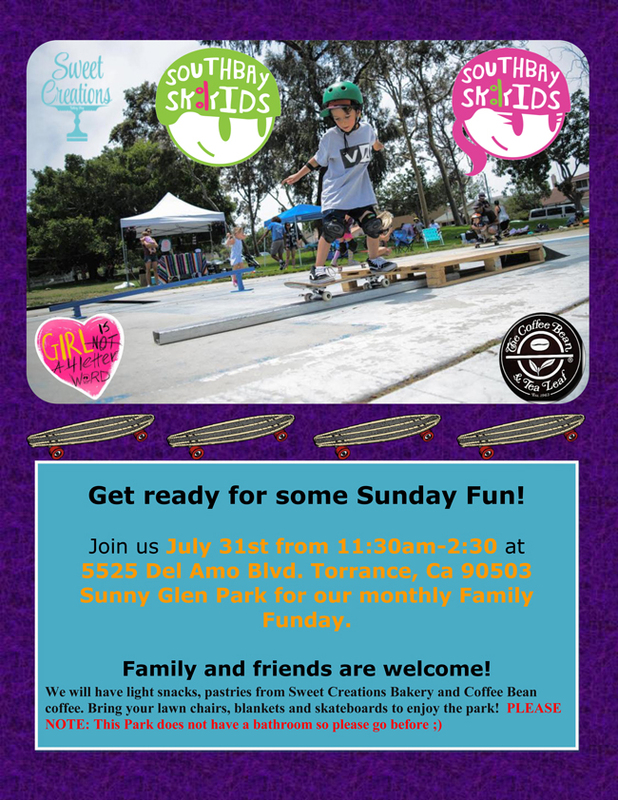 Southbay Kids Skate Event This Sunday! Come out this Sunday for a fun time with South Bay Kids. The event is from 11:30 - 2:30 PM and it's a really fun time skating at the park. Get some coaching and have fun with your friends and family. See you there!